Figure 13-30.--Typical notcher and coper work. of operation: slow and fast. cutting tool makes 500 to 1,000 strokes per minute. Slow speed is used to cut heavy gauge metal. 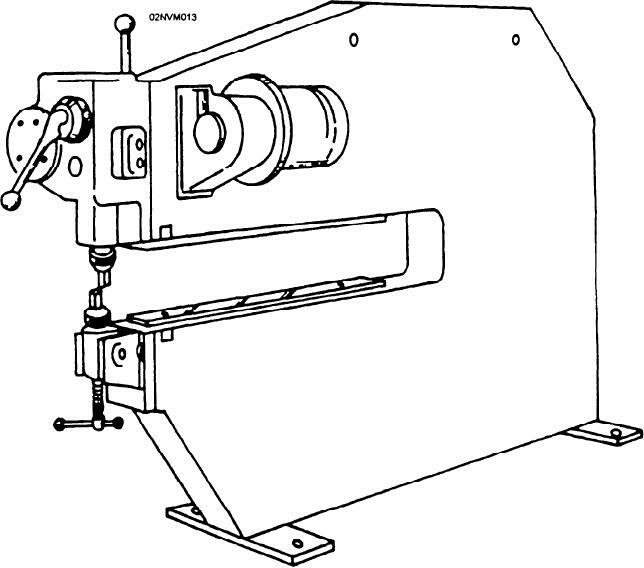 speed is used to cut thin gauge metal. depending on the tools (blades) installed in the machine. tools used for shearing (cutting) (fig. 13-34).